The hypermarket, which is set to be the largest in the Dubailand area, will cater to the growing residential communities surrounding the mall, which is located next to Global Village. It will also be a key element of Cityland Mall’s retail and shopping attractions for visitors. tastes and needs,” said Miguel Povedano, Executive Regional Director for Carrefour UAE. Carrefour recently announced plans to open ten new stores in the UAE in 2017 as it looks to meet growing demand for convenience shopping. 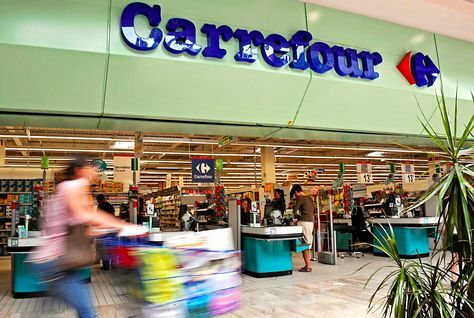 The opening of the two hypermarkets and eight supermarkets form an integral part of Carrefour’s target to reach 140 hypermarkets and 210 supermarkets by 2018. Founded in 1992, Majid Al Futtaim is the leading shopping mall, retail and leisure pioneer across the Middle East and North Africa (MENA). Cityland Group recently announced their plans for Cityland Mall, which is pioneering a new trend in family entertainment where superior retail experience meets ecological preservation, sustainable design, and interaction with nature. A key attraction of the mall will be an expansive, 200,000 square feet outdoor garden, called ‘Central Park’, which will highlight the rich biodiversity of nature through unique attractions.